Hello! 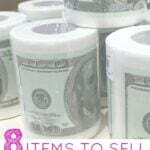 Today, I have a great extra income story to share from my friend Kristin. Enjoy! Hi, I’m Kristin! I created Believe In A Budget in January 2015 to write about personal finance, especially my adventures in side hustling. Starting my blog was easily one of the best decisions I’ve ever made. I was really excited to share all of the different ways I had side hustled over the years to make extra money. I knew if I could share my side hustle experiences online and help just one person, Believe In A Budget would be a success! 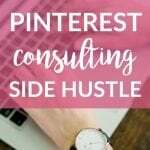 Out of all the side hustles I have done over the years, my side hustle as a Pinterest virtual assistant was and still is my favorite one! As a Pinterest virtual assistant, or Pinterest VA for short, there was no shortage of work! As a beginner with no experience, I was earning around $100 per month for about 4-6 hours of work per client. Even though I was undercharging, I was more focused on gaining experience and learning! In my first few months, I was earning an extra $300 – $500 per month as a Pinterest VA. As I had a day job, this was great extra income! I was able to save all my money and put it into an emergency fund, which was something I didn’t have at the time. As my experience and skill-set grew, I eventually went on to earn around $3,600 per month within six months of launching my Pinterest VA business. This was really exciting for me! I was able to grow my emergency fund, as well as have some breathing room in my budget. I paid off some medical debt and simply saved money! I also really liked that I wasn’t so dependent on my employer. While I had pretty good job security, I always side hustled because I wanted to have multiple income streams. Earning money as a Pinterest virtual assistant became the best way for me to earn additional income. In the beginning, the hardest part about blogging was getting traffic to my website. I had a hard time with SEO and ‘long tail keywords’ didn’t make any sense to me. I wasn’t even on Facebook at the time and barely understood how to use Twitter. It wasn’t until I started looking into Pinterest that everything started clicking – literally! Pinterest made total sense to me. I could look at a pin and understand why certain pins performed better than others. I had an easy time recognizing why certain colors, fonts and images performed well. I also had a pretty good grasp that the better the pin description, the better the pin would rank in the search results. I started using Pinterest about five months into blogging. Within the first month of using Pinterest, my blog traffic grew from 5,000 monthly page views to 40,000 monthly page views in only two months. Over the next six months, my page views continued to climb and before I knew it, I hit over 200,000 page views in one month. What was really exciting about my monthly traffic was that 90% of my traffic was coming directly from Pinterest. There’s a common misconception that to do well on Pinterest, you need to have a large following. This simply isn’t the case! I was able to accomplish all of this with only 2,700 Pinterest followers at the time. Even today, I purposely do nothing to grow my Pinterest followers. While it can be frustrating because I want to grow my followers, I want other bloggers and businesses to see how much growth is possible with a small following! Even though Believe In A Budget focused primarily on the personal finance niche, I decided to write a case study about my experiment using Pinterest. This was the first time I stepped outside my niche boundaries so to speak, so I was a little nervous that this blog post would not resonate with any of my readers. Ultimately, I decided to hit publish and share my findings anyways. I figured if anything, maybe my post would help a fellow blogger who was new like me! Little did I know, that blog post changed my life. Shortly after hitting publish, fellow bloggers started reaching out to me about hiring me for Pinterest services. I was a little nervous to say yes because I was still growing and learning myself, but I realized helping other bloggers with Pinterest would make for a great side hustle. So I said yes to everyone who needed help! As a new Pinterest virtual assistant, I wanted to work with as many blogs as possible to gain experience. I knew this side hustle could be great long-term, so I offered my services for cheap – too cheap. The trade off was that I was honing my skill-set, getting my name out there and helping other bloggers. I also knew I would be able to raise my rates in the future. Who Does a Pinterest Virtual Assistant Help? Back then, the term ‘Pinterest virtual assistant’ was pretty rare in the blogging world. It wasn’t as common a phrase as a general virtual assistant or a freelance writer. As a Pinterest virtual assistant, I started out helping fellow bloggers in the personal finance niche. Thanks to word of mouth, my client base expanded and I started working with bloggers in all niches – like lifestyle, home decor and SAHM. My Pinterest business grew quickly and I was able to launch my own Pinterest management company! I quickly had over a dozen clients within a couple of months of publishing my Pinterest case study. Since this side hustle was in addition to my full-time day job, I was working around the clock and struggled to keep up with everything. I decided to hire a virtual assistant that could help me with Pinterest. It took some time, but I was able to provide her training so she would be able to assist me with all of my Pinterest clients. This was both a stress reliever and a time saver! Around this time, I also had decided to leave my full-time day job! In addition to working as a Pinterest virtual assistant, Believe In A Budget was also starting to bring in revenue each month. Within ten months of launching Believe In A Budget, I was able to walk away from my day job to become a Pinterest virtual assistant and blogger full-time. And I haven't looked back since! When I first started out, I charged next to nothing for my Pinterest virtual assistant services! I was fresh-faced with barely any online skills. With my first few clients, I was pretty upfront and let them know that I was brand new to providing these services. At the time, there really wasn’t anyone else offering these services, so many bloggers didn’t even know this could even be a job position to hire someone to do! By charging a really low rate, as in $100 or less for about 4-6 hours of work per month, clients were more than willing to take a chance on me. While this was a really small amount to charge, I really wanted to gain client experience! Plus this was just a side hustle, so I wasn’t concerned about the pay grade. After a few months, I realized I was providing steady work to a number of clients. I re-assessed my goals and realized I could make a part time or full time living as a Pinterest VA. The thought of working from home, or anywhere really, seemed much more appealing than my daily commute and day job. I raised my prices (and kept raising them with every new client I landed!). I sent out letters to almost all of my existing clients and let them know I would be raising my prices. I tried to be as fair as possible and provide plenty of time for my clients to decide if they wanted to continue to work with me or not. However, there were a few clients that didn’t get a letter from me. These were the clients that took a chance on me in the very beginning and were ‘grandfathered in’ so to speak. I was so appreciative of them, and while it would have been completely fair to raise my rates, this was my way of saying thank you to them for creating a new opportunity for me! As I raised my prices, I started offering different packages, which I’ll cover more in detail below. 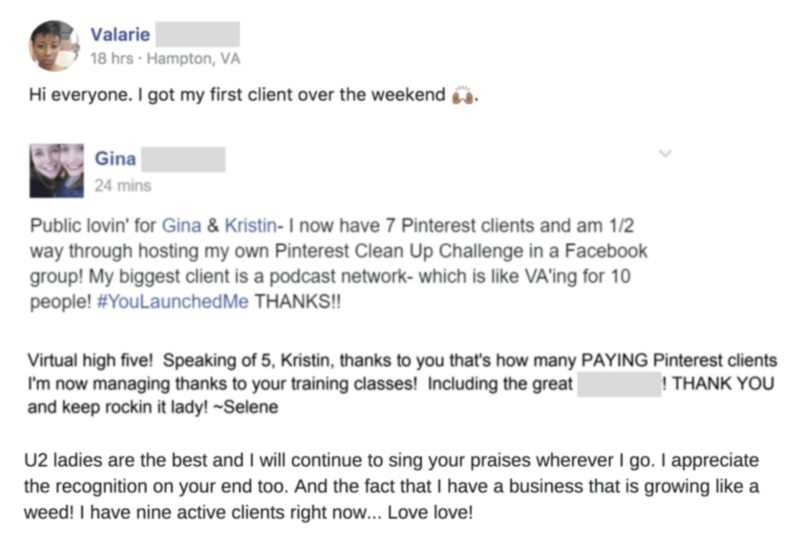 In the beginning, as a brand new Pinterest VA, I was only earning around $100 or less with a new client. In hindsight, this was way too cheap. As I gained experience and delivered results, I raised my pricing. Some clients had a budget of $200 per month and needed basic Pinterest maintenance, such as scheduling pins through an automated system like Tailwind or Boardbooster. Some clients were large companies and had a budget of $1,000 per month. There were also clients that had no Pinterest presence to speak of, so I would charge anywhere from $300-$750 to help a client set up their account, create pins, formulate a schedule and join group boards. Another example is pin design, which doesn’t have anything to do with scheduling pins or hopping on Pinterest at all! Some clients only wanted help with pin design, such as updating older blog posts with new Pinterest images. 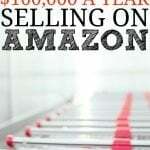 This was one of my favorite ways to earn income! As a rule of thumb, I charged $5 per Pinterest image, with the client supplying the stock photo and the wording, with a minimum of ten photos per patch. This way I could design a set of images at one time. Much to my surprise, I received tons of requests for images. Many blogger clients had old blog posts that needed new images as well as images designed for future posts. I also helped a ton of clients with stock photos for their ecommerce and brick-and-mortar shops. I did numerous batches of design work that consisted of 100 to 300 images at a time. Seriously, getting paid to design images while working from home or at a coffee shop was one of the best feelings! Income wise, there is no one-size fits all when it comes to clients as every client had different needs. So if you decide you want to become a Pinterest VA, you’ll have a ton of flexibility when it comes to creating packages and pricing! What Kind of Tasks Does a Pinterest Virtual Assistant Perform? As a Pinterest VA, there are so many different services you can offer your clients. There is such a large range of tasks you can help with, which means no two jobs (or Pinterest VAs) are ever the same. I have worked with clients who only need help designing pins, whereas other clients needed assistance with everything. Some clients might only need an hour of help a week. This is generally a client who is in ‘maintenance mode’ and just needs help with basic weekly tasks. I’ve worked with other clients who have had an aggressive marketing plan and needed me to dedicate numerous hours per week to help their campaign. It can really vary per client! How Much Can a Pinterest Virtual Assistant Earn? Like most other virtual assistant jobs, a Pinterest virtual assistant can earn around $15-$20 per hour when just starting out. It’s important to gain experience, learn and get results before you can increase your pricing. But as you start to get results, you can raise your rates! Many Pinterest VAs earn anywhere between $25-$50+ per hour depending on experience, or provide flat monthly packages that range from $250-$500+. One tip I learned as I grew my Pinterest VA business was that larger brands and businesses had real marketing budgets. This meant I could earn much more per month than working with a small company. As my experience grew, I was able to work with larger brands and charge a much higher monthly rate. As you grow more confident with your level of expertise, you will most likely want to change your job title from Pinterest VA to a Pinterest Manager. This allows you to charge significantly more, level up your clientele and work with brands that have a larger marketing budget! Part of the reason I get so excited for others who want to become a Pinterest virtual assistant is it really doesn’t matter what your background is! Anyone can learn how to become a Pinterest VA as long as you have a strong worth ethic, are organized, enjoy working with clients and love Pinterest. First, you have to get results for yourself before you can help others. Thes best way to learn is by having your own blog so you can practice. If you don’t have a blog, you can always ask a friend or peer to help with their blog. In exchange for providing your services for free, you are helping them grow their Pinterest presence. Second, document the entire process and turn the journey into a case study. This is a great way to showcase your results to your readers, as well as send potential clients to various case studies you have done for social proof. Finally, don’t be scared to pitch your services! It can be intimidating in the beginning, but you will grow more confident with every pitch you send out. If you aren’t sure who you should pitch to, start with fellow peers in the your blogging niche or in an area that interests you. Start slow and build your way up. If all of this seem overwhelming or you want to specific training, you can always sign up for Become a Pinterest VA TODAY! This course was created by myself and one of my Pinterest VA clients, Gina Horkey from Horkey HandBook. This course is really unique and there’s no other course like it on the market! Technical training needed to use Pinterest, Canva (our favorite free design tool), and Tailwind, which is a scheduling tool that works with Pinterest. What types of packages to offer to clients and how much to charge for your services. How to find clients, pitch them (with our exact templates and follow up. You’ll also have access to our private Facebook group that is very active and worth the price of the course alone! We provide a lot of feedback to our students, as well as provide a monthly Facebook Live Q+A session where we answer everyone’s questions. This is a fun way to check in on everyone and cheer each other on! What’s really exciting about this course is hearing about the student success stories. It’s always exciting to hear from a student that has landed his or her first client, to students that have quit their jobs to become a Pinterest VA full time! Everyone has different financial goals when it comes to launching a Pinterest VA business. Some students are happy to side hustle, working with just 1-2 clients per month. 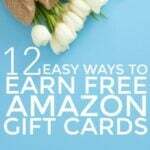 This allows them to earn extra income in addition to their day job or if they are a stay at home parents. Other students want to go all the way! Some start out as a Pinterest VA to side hustle, but gradually turn it into a part time job and then a full time job. It’s really based on what your financial needs are, career goals and how it works with your schedule. You Never Know Where One Opportunity Will Lead You! As I mentioned above, Become a Pinterest VA TODAY! was created in tandem with one of my Pinterest clients! Back then – and even to this day – there is still a shortage of Pinterest virtual assistants in the workplace. So we set out to do something about it! By joining forces, Gina and I created a course that helped so many people forge a new career! Unlike other social media jobs, Pinterest work can be completed any time of the day, which is appealing to so many people. Today, based off the feedback from all of our students, the course has turned into something so much bigger! The Pinterest VA Shop was created to provide additional learning material for students and DIYers that want to learn more about Pinterest. We have workbooks, checklists and additional training material that really helps VAs level up their skillset. I never would have imagined how much my life has changed since starting my blog. If you haven’t had a chance to start a blog, it’s not too late. Your blog can be used as a blog, or a launching pad for so many new opportunities that you might not have imagined existed! For example, if you want to offer online services, just add a ‘Hire Me’ or ‘Work With Me’ page to your blog. This is a great place for potential clients to learn more about you. Launching my Pinterest VA business completely changed my life in the best way possible. Initially, my Pinterest virtual assistant services were a side hustle, and provided extra income in addition to my day job. Once I committed to saying ‘yes’ to as many clients as possible, I was quickly able to grow my business and launch a new career. Today, being able to offer Become a Pinterest VA Today! and help other go-getters like me has been the best feeling. Teaching others exactly how I got started and grew my business really makes me feel like I am changing the workplace in a positive way. There is so much work for everyone in this field, domestically and internationally, and a career as a Pinterest VA continues to be one of the hottest fields online! 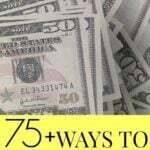 Did you know that you can make money on Pinterest? I love the fact that you started your blog in 2015 and believe in yourself enough to take your side hustle blogging to the next level. Most people don’t understand that blogging as a side hustle can make them a future side hustle millionaire if they create quality Evergreen content and continue the Journey of doing the transformation business work. Additionally, I couldn’t agree with you more that Pinterest is by far the ideal place to promote a business because one can do so without spending one red Cent on advertising and not only improve SEO, but get free traffic and free advertising from Pinterest pinners that reap in your content for years to come. I follow your blog and it’s truly an inspiration to me (I just started blogging and am doing EBA right now as well). I hope that I can reach your level of success one day. I’m still trying to figure out how this whole Pinterest thing works but who knows, seems like being a Pinterest VA is not such a shabby job! I love spending my time on Pinterest anyways! This is an interesting way to create an income. Thank you :)! This is simply amazing, I recently started my blog and I am still trying to figure out Pinterest. My traffic has been all over the place. Some days I have almost 100 visitors and some days I have less than 30 visitors. Its people like you that inspire me to keep going. Thanks Michelle! It’s definitely smart to develop a pinning plan for Pinterest – it’s a great way to drive traffic to your site! Wow I had no idea this was a thing. I have so much to learn about Pinterest! It’s a great side hustle or even a potential career, right?! It totally changed my life for the better! I’m currently using PinPinterest com for my 4 accounts and by far this is the best tool I ever discovered for my pinterest. I have never used any tool as powerful as PinPinterest before. The results I got were steady, legit, safe and most importantly automated. The best part about this tool is that it runs on cloud storage and there is no need to download any software on your pc. You just need to provide information to PinPinterest of what you want or to be scheduled which takes very few couple of minutes and once you are done logout, close your browser or even turn your computer off and enjoy your day PinPinterest will be your assistant and will do the whole work for you at the right time for better results. Hi, I’m interested in becoming a Pinterest VA but don’t want to start a blog. I was going to take the Become a Pinterest VA TODAY! course but not sure if I should now. Can I take the course and then offer free services to a blogger, or is it a must to have my own blog to become a Pinterest VA? Thanks so much for your help! You don’t need a blog in order to become a Pinterest VA.